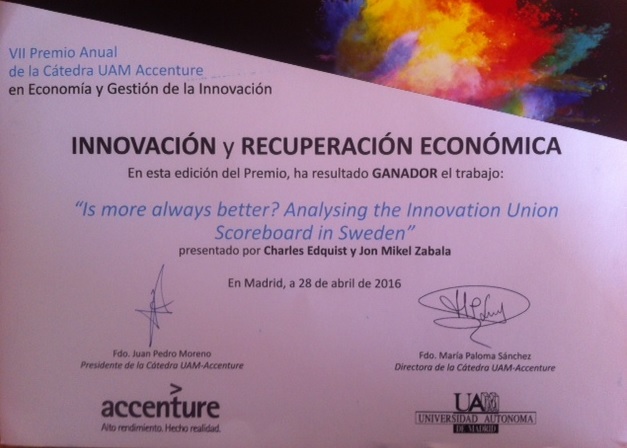 Charles now been in Madrid to receive UAM-Accenture Chair 2015 Award in Economics and Innovation Management of the Universidad Autonomia de Madrid. The award was given for a paper entitled “Is more always better? Analysing the Innovation Union Scoreboard in Sweden” .